The pendulous nature of the Weeping Blue Atlas Cedar along with its blue-green needles add unique character to this winter garden. In the backdrop the bark of Coral Bark Maple (Acer Sango Kaku) glows red with the cooler temperatures and to the right a Skyland’s Oriental Spruce proudly displays its golden hue. With winter weather upon us here in the northeast, the garden is currently buried under a blanket of snow and is likely to remain that way for some time. At this time of year the elements of color, form and texture, along with structure play an even more important role in design, and are more pronounced in the winter landscape. Form can exist as horizontal, vertical, pendulous (weeping) rounded, vase-shaped and pyramidal. Texture refers to the nature of the foliage and can be described in a number of ways including fine, course, dull, shiny, wide or narrow, to name a few. Structure refers to the shape or form of a plant with relation to its environment. As seen in the above photograph and description, all three of the plants mentioned add color, form, texture and structure to the landscape. 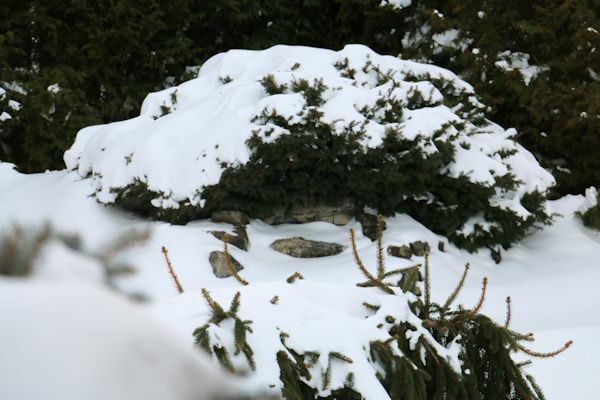 Evergreens are key in providing structure, such as the snow covered spreading yew and cascading Weeping Norway Spruce shown above. They display a deeper green foliage which contrasts nicely against the the fallen snow. A vertical backdrop of Western Arborvitae adds to the screening. The combinations of varying form and foliage add all season interest to the backdrop of this poolscape. This member of the Picea family is Montogomery Spruce ‘Globusa’, a rounded compact form of Colorado Blue Spruce which grows only to a height and diameter of approximately three feet. 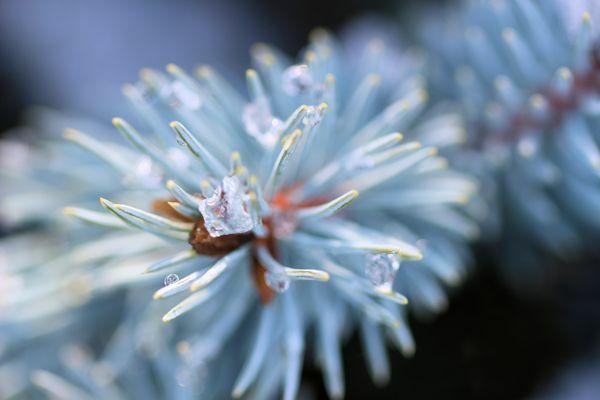 Its deep blue color remains throughout all the seasons and is even more noticeable in winter. 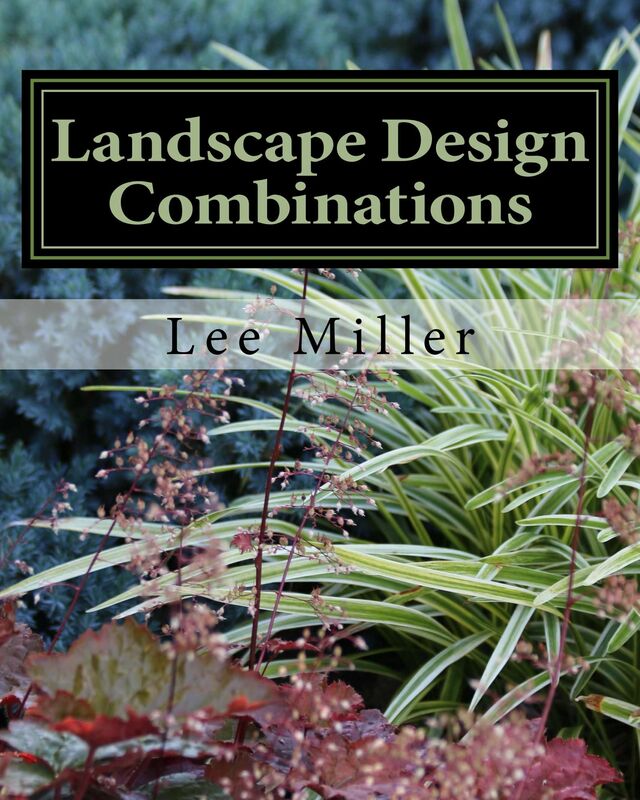 The characteristic of evergreens that I find to be so appealing is the wide selection of varying colors and forms. 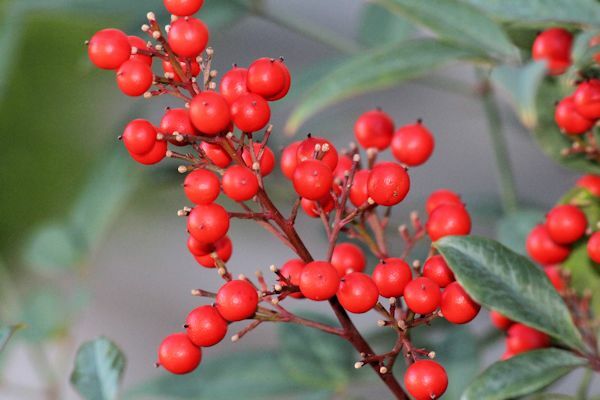 Berry producing plants such as this Nandina domestica provide an interesting framework and winter color and also serve as a food source for birds. There are many berry producing shrubs for the landscape including Winterberry, Holly, Elderberry and Viburnum. 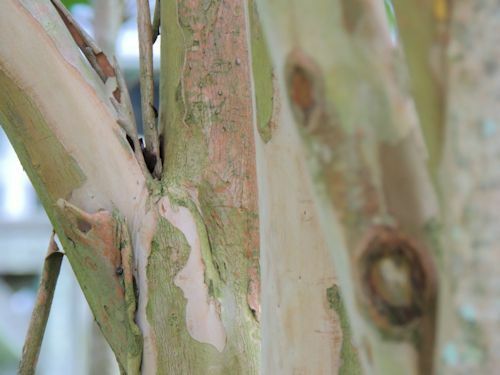 Combining both deciduous and evergreen trees and shrubs in the landscape supplies a range of form, and many deciduous plantings display interesting branch structure and bark, such as the Coral Bark Maple above and Crape Myrtle below. 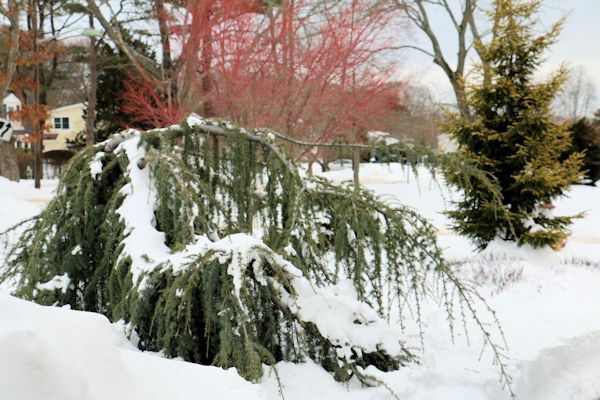 These are just a few examples of how the winter landscape can be made to be more inviting. While waiting for spring, the winter season is a good time for assessing and planning the landscape. 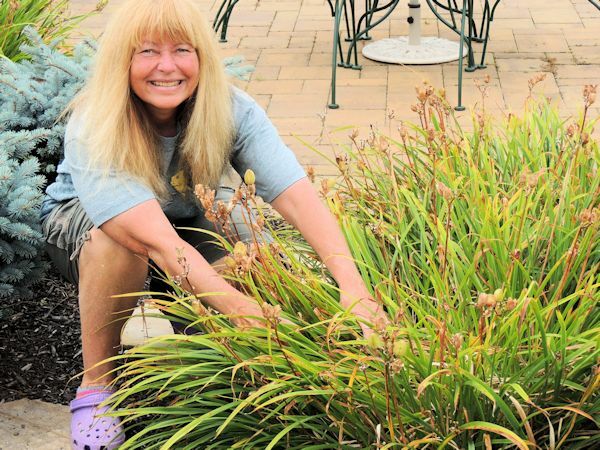 If the garden is to look aesthetically pleasing throughout the year, especially during the cold winter months, it is important to include the design elements of color, form, texture and overall structure in your planning.